We know that Valentine’s Day could be very overwhelming and perplexing, especially for you, gentlemen. In order to save you a lot of last-minute stress and anxiety, we have selected the best tips to help you plan the most romantic day for your sweet Valentine. Skip all the fuss by following our simple guide. Flowers speak the language that every woman understands. Choose a magnificent bouquet of her favourite blooms and order it for a delivery on Valentine’s Day. If you don’t know what flowers does she fancy, count on red roses to express your love and adoration! 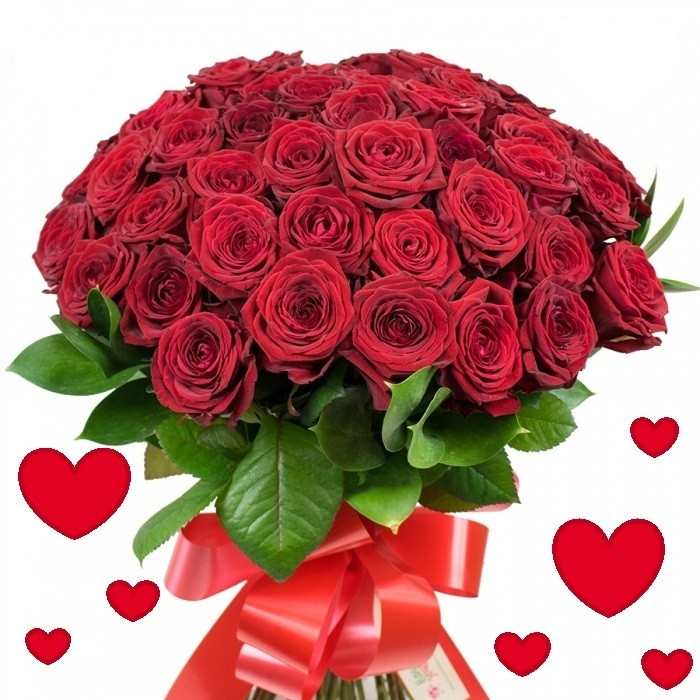 You can hardly go wrong with a fantastic bouquet of romantic red roses! Your Valentine is guaranteed to be impressed by the gorgeous bouquet you’ve selected but don’t settle for less when you can WOW her even more! Adding a sweet extra gift along with the beautiful flowers is sure to surprise and delight her. Choose from our amazing Gift Combos featuring impressive blooms and sweet candies, romantic balloons or an adorable teddy bear. Any gift would be perfectly completed with a beautiful card with personal card message included. Women love romance and poetry and although you might not be a poet at all, try to think of something romantic to show her how much she means to you. Any effort will be appreciated, believe us! To help you make her Valentine’s Day feel unique and special, we can deliver the flowers to her office. That is sure to bring brightness and joy to her whole day. You can also go for our morning or noon delivery options to guarantee her amazing start of the day. These 4 steps are the basic ones to help you win her heart. No matter what other gifts or surprises you organize, stick to these “unwritten rules” and she will be deeply touched and impressed! We wish you and your special Valentine a truly exciting and romantic Valentine’s Day!